Professional boxing coach Carol Siracusa has been training competition fighters for over 7 years. Carol holds licenses with USA Boxing Coaching and the Pro Boxing California State Athletic Commission. 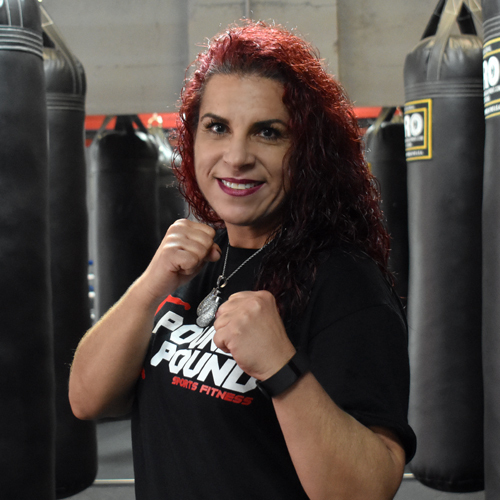 Over the years Carol has trained many amateur fighters to compete in distinguished boxing sports competitions and has worked at many pro boxing camps with champion trainer Tomas Fernandez. Train with Carol Siracusa every Tuesday & Thursdays 5 pm to 6 pm in her BoxFit Class that includes strength/cardio workout, boxing techniques, music and lots of fun!